"It's been a real knock out for all the people who have come to visit us. The amount of work that Events 720 has put into sourcing materials and the total enthusiasm that they have for this project has been just phenomenal." Having a photo opportunity, the Hookey board and actors meant great experiential marketing opportunities for attendees to meet the staff on the stand. 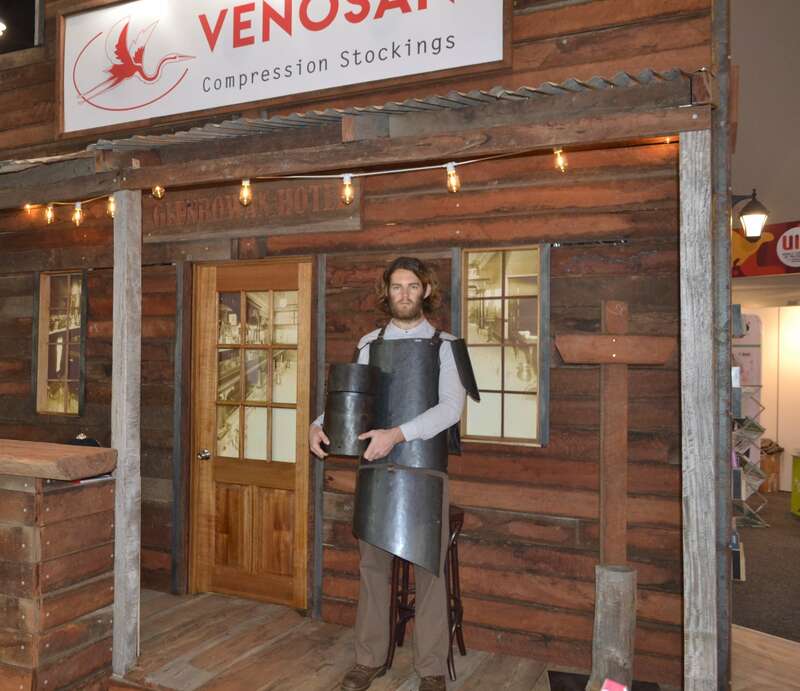 The creative way that the products were displayed meant that experiential marketing was instrumental in allowing attendees to touch the products that Venosan sell. Designing an exhibition stand with experiential marketing methods in mind provides a greater opportunity of appealing to customers. At every step of the creative process, Events 720 endeavoured to make the exhibition stand authentic. Each of these aspects were carefully crafted to ensure attendees were completely immersed in the story the stand told. Great experiential marketing involves telling the whole story, providing an opportunity for attendees to take in every aspect of the exhibition stand. The manufacturing team in the Events 720 workshop took the time to create the display stand with care and expertise to achieve such an outstanding finish. Venosan stood out amongst all competitors at the World Congress for Phlebology due to the amazing stand creation and fine detailing that went into making the stand such a success.